The best things come in small packages-that's why you can expect incredible productivity and great value from the CipherLab 8000 Series. 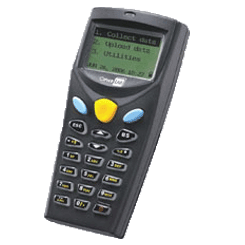 These pocket-sized mobile computers put fast, accurate barcode scanning and wireless communications options in your hands (and your pocket) to accelerate product ordering, item picking, route accounting, and other AIDC activities. Durable design and low cost mean you reap a lot of value over a long time-at a minimal investment. For such a small package, there's nothing like the 8000 Series mobile computer to cost-effectively make your work easy and efficient.